But I was also unprepared because much of what I had been taught about alcohol withdrawal was inaccurate or misleading. Nothing teaches like experience! After many years of treating a lot of alcohol withdrawal, I have gained some insights. Emergency Medicine: A Comprehensive Study Guide, for example, says that DTs occur 3-5 days after the last drink. While this may be true in the majority of cases, it is not at all uncommon for my patients to manifest severe alcohol withdrawal much sooner than this and also much later. My record for the earliest manifestation of alcoholic delirium was a patient who manifested true DTs within 12 hours after his last drink. This particular patient became a frequent flyer, and would reliably become delirious within 12 hours of arrest—until we learned to treat him early and aggressively. On the other end of the spectrum, I had a patient who developed DTs at day 8 after admission to the jail. It was so late, that I almost missed the diagnosis. As taught in the textbooks, alcoholic hallucinosis is a syndrome that begins around 12-24 hours after the last drink and can last for one or two days. These patients typically see bugs or animals in the room (“pink elephants”). Patients with alcoholic hallucinosis are reportedly not disoriented and have normal vital signs. 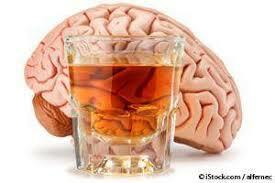 I have only seen one patient with alcoholic hallucinosis that I know of over my entire correctional career. It has been exceedingly uncommon. I believe that there are two reasons for this. First, alcoholic hallucinosis is thought to be related to thiamine deficiency and my patients are relatively well nourished as a group. Second, like most jails, my alcohol withdrawal patients are given lots of thiamine as soon as they are identified—and for several days afterwards. The hallucinations of the typical DT patient are different from those of alcoholic hallucinosis and, indeed, from any other kind of hallucinations. They are unique. The hallucinations of the DT patient are like this: the patient thinks he is in some other physical location and he is interacting with that location. For example, a DT patient could be fiddling with the wall at the back of his cell and when you ask what he is doing, he will say,” I’m just trying to get this microwave to work.” In his mind, he is at home in his kitchen. Or he might be continuously trying to open the door of his cell, but in his delirium, he is at the store and just trying to get the door of the store open. DT patients are immersed in another time and place and are interacting with that environment. Medical Reference books, like Emergency Medicine: A Comprehensive Study Guide and Uptodate, typically divide alcohol withdrawal into two basic stages: mild alcohol withdrawal and severe alcohol withdrawal (or DTs). However, in my experience, a recognizable syndrome of intermediate symptoms almost always precedes DTs: not eating, not sleeping, not stopping (relentless pacing), and tachycardia. This also means that once a patient has progressed to the stage of DTs, he usually is significantly dehydrated—because he has not been eating. More importantly, if we can catch patients in this stage of withdrawal and recognize it as “the Pre-DT syndrome,” we can treat the patient more aggressively and perhaps avert delirium. Many patients can be successfully treated with a single 10mg dose of Valium if given early on. If treatment is delayed until the patient has progressed and is sicker, it will take quite a bit more Valium to reverse his progression. But by the time a patient progresses to the stage of Delirium Tremens, he will need literally hundreds of milligrams of Valium—which is one reason why most cases of DTs should be treated in a hospital setting. Because of this, it makes sense to be liberal with Valium. One 10mg Valium given early in the course of withdrawal can prevent the need for much, much more Valium later on. 1. Patients who have had alcohol withdrawal seizures in the past, are much more likely to have them. 2. Patients who have been given a dose of Valium as treatment for alcohol withdrawal, even a single dose, are less likely to have a seizure. In my cohort of patients, most of the patients who had alcohol withdrawal seizures had not yet received a dose of Valium. In my mind, this underscores the importance of treating alcohol withdrawal early. More on that next. CIWA-Ar is, of course, the standard, accepted way of assessing alcohol withdrawal used almost universally. CIWA-Ar scores the severity of the withdrawal state by assessing several withdrawal symptoms. CIWA-Ar also recommends treatment based on the patient’s score on the symptom rating scale. CIWA-Ar has been around since the mid 1990s and works OK-ish. However, in my opinion, CIWA-Ar is a flawed instrument. CIWA-Ar has at least two major problems, and several minor ones. The first major problem with CIWA-Ar is that it does not incorporate the single best objective measure of the severity of alcohol withdrawal—the heart rate. In my experience, the heart rate corresponds very well to the progression of alcohol withdrawal. Patients with minor withdrawal tend to have normal heart rates—less than 100. As the severity of withdrawal symptoms worsens, so does the heart rate—predictably. DT Patients have markedly elevated heart rates—usually well over 150. I would be very concerned by a patient whose heart rate went up from, say, 80 to 110 even if her other subjective symptoms did not change. Heart rate is also an objective measure—as opposed to the CIWA-Ar scoring measures, which are all subjective. The second major problem with CIWA-Ar is that it does not treat all cases of alcohol withdrawal. If a patient’s symptoms are judged by CIWA-Ar to be too mild, CIWA-r says not to treat, despite the fact that the patient is, indeed, suffering from alcohol withdrawal. I have a serious objection to this. 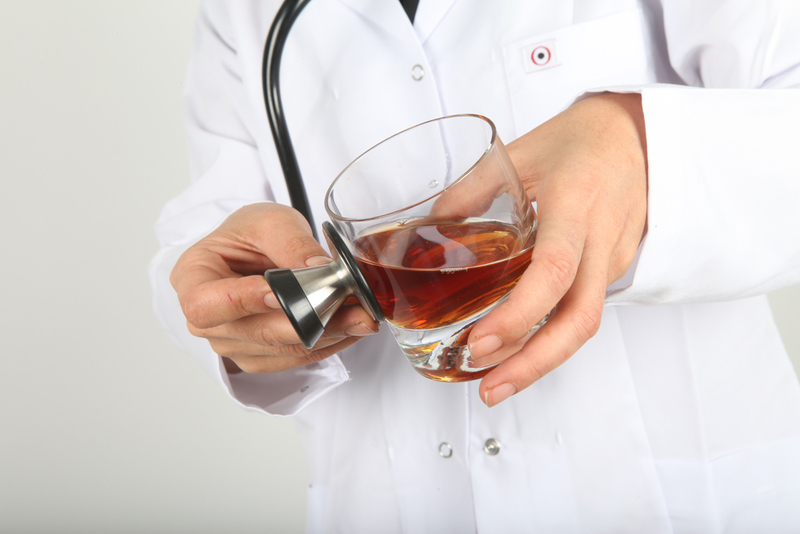 If we diagnose alcohol withdrawal, even in its earliest stages, we should treat it! Without treatment, most of these patients are going to progress. With even a single dose of Valium, many will not. And what is the downside? There are times to be stingy with benzodiazepines—but this is not one of them. As always, what I have written here is my opinion and is based on my own personal training, research and clinical experience. However, I acknowledge that I could be wrong! What do you think? What insights into alcohol withdrawal have you had at your facility? Please comment! I agree, the heart rate is the key. Secondary is history of DT’s or rising BP. Our intake nurse would give alcoholics 4 cups of fluids (gatorade and water) to drink immediately. She prevented so much trouble! Often they would be released before they became symptomatic. I have also had a subgroup of patients who would go into withdrawal within hours of coming into jail and 1-2 who clearly went into DT’s at 10-14 days. They can argue that it shouldn’t happen that early or at that late date, but it does. The other good reason to begin treatment early is that you can prevent hospitalizations and the drain on jail resources that that represents.